Ores from Minecraft and Mods are (or can be) integrated to match the surrounding stone. You may find some help on adding ores from mods here. If you have a problem or feature request, please use Github's Issue Tracker, I'm more likely to react to that in a timely manner. If are wondering why so many versions were skipped, you may find them here. You may also contact me trough my discord. This is not very helpful. Can you put this with the full crash report in a github issue? Sry. It's not full wersion of this crashlog. Ah, that one. I'll probably upload a fix for that some time today. If you impassioned deleting config/undergroundbiomes/ores helps. It's only a single ore, so I'd assume it would take less time then supporting many other mods. That works great for my purposes, thank you! Could you add Silent's Gems & Embers support? I couldnt get the colour mixer to work for the black quartz texture so I just made quartz use osmium. go to "config\undergroundbiomes\ores" and create "embers.json" and then copy and paste this into it. this should make it work pretty much perfectly, except for the quartz texture being osmium. Thank you so much for supporting this excellent mod. Your work is greatly appreciated. can you add Galacticraft support please? thank you. 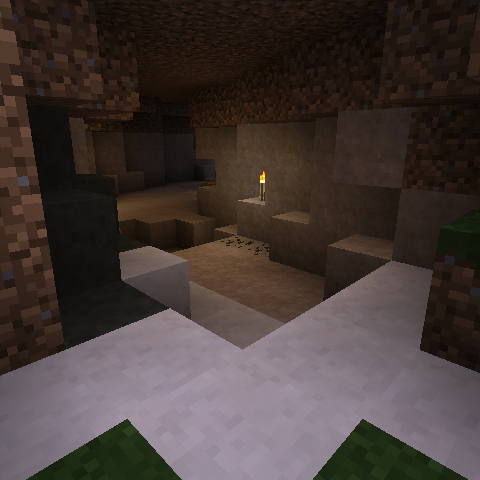 Can we get TFC (TerraFirmaCraft) like caves? With stalaktites and all this, but most importanly large, bat rare and with big halls. While special caves do sound cool, I don't plan on adding something like this. Mostly because I currently don't have the time to figure out this could work. Are you sure it this is caused by UB? Given the Crash Report it seems like ThermalDynamics is involved, which I have used together with UB without trouble so far... Please try to narrow it down to the two incompatible mods. Removing UB from the client everything is fine, again.